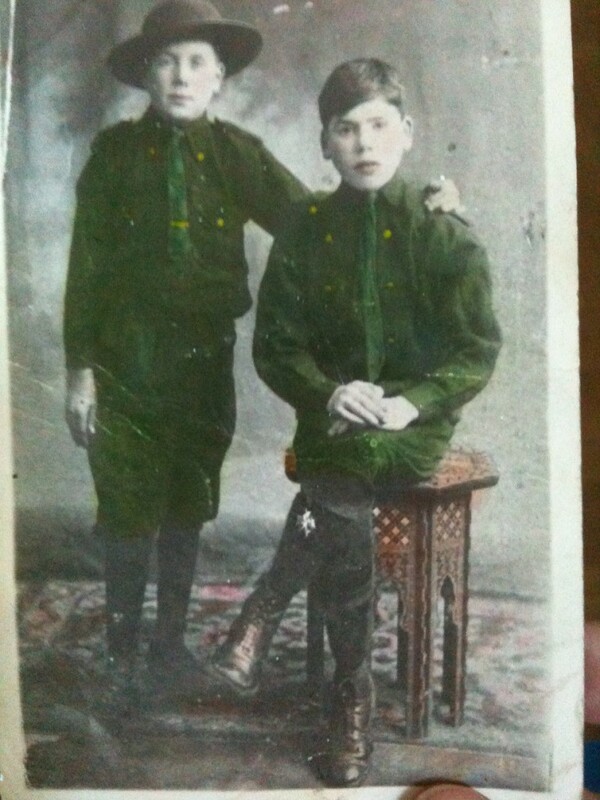 Micheal douglas and willie douglas(his brother) in their na fianna uniforms (aged 12-13) also as young men in different uniforms. My granddad took part in the raid on Monks Bakery (kevin baryy) and I printed evidence of this. Would it be something that you would be interested in. My dad is still alive 80 years and he tells stories of how is dad was in Ballykinler interment camp how do we get info on this. 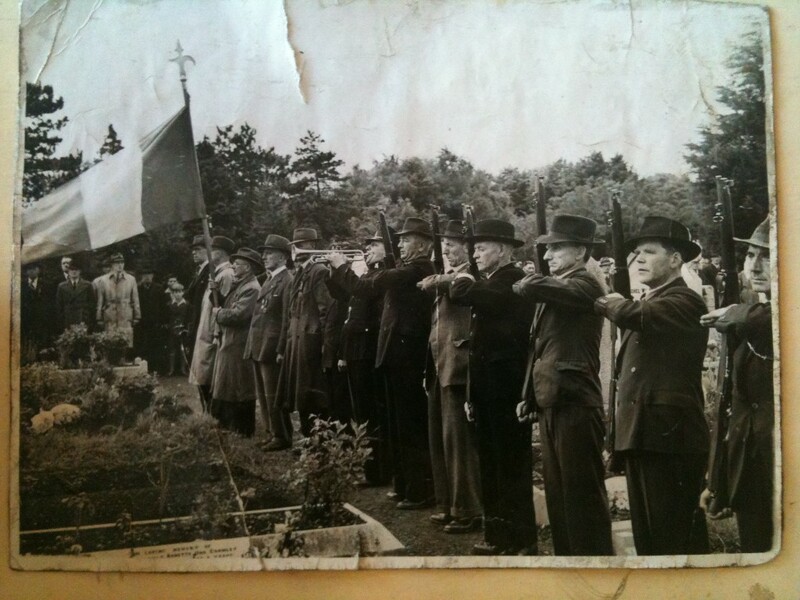 Also we have a picture of my grandad in a parade of men carrying out a gun salute at a funeral. My grandad died in 1952 so it would be pre that era ? and has asked me to find,if possible living relatives of Liam Mellows .Kevin like myself is in his 80.s and though he has been to Mountjoy recently he has not been sccessful. He himself is from West Cork and believes Mellows also had connections there. I am trying to find out some info regarding my great grandfather, Dominick McSloy. I was recently given his service medal by my mother and I would like to have it mounted for display but I know nothing about him. I would greatly appreciate any help you could give me regarding this. I found him in the 1911 census living in ardboe, Co Tyrone aged 23 but i have nothing beyond that. George was my first cousin once removed (My Dads first cousin) my dad grew up with George in Howth, but then we moved to UK from Ireland, and although I met George a couple of times when on Holiday in Ireland, I was very young so didn’t get to know him very well..
What sort of man he was really, etc. also could you tell me why his mother went to prison. She was my Great Aunt, Frances Gilmore (Nee Angus ) known as Fanny. Where can I get any of his poems, and find the play he wrote for his fiancé Cora Hughes? Also I believe he was something of an artist. are any of his paintings still around anywhere. I would love as much information about him as is possible. PS, I’d love some photo’s of George as I don’t remember really what he looked like with being so young myself. Is there anyway of tracing details on volunteers? I have just been given my grandfathers black and tan medal and wanted to know if there were any details on him. His name is Patrick Byrne,Doolistown,trim,co meath. —————————————————————————————————————————————-Could you please tell me if Seán Hales married and to whom did he marry, and where is he burried. Thanking you for any information yiu can give us. —————————————————————————————————————————————–delighted to hear about this new book and looking forward to reading it soon…would anyone have any information on Martin Jennings (my Fathers uncle) who was attached to Tara Street Fire Station around 1920, would be great to hear about him, maybe a photo ? thank you…. I’m interested in finding out more about item no3 (the FS soldiers killed by a mine near Macroom, Co Cork) as Capt Dan O’Brien was a GrandUncle of mine (his sister would have been my paternal grandmother) and was also from Macroom. Incidentally, both my grandfather and late father were dentists in the Army as well. My father William Keane and his brother Sean were active serving members of E Company 6th Batt. old IRA. I would love to see any pics or information you have about the period. Recently I got a copy of my fathers old IRA pension application form and it makes interesting reading ,also have some pics of the company . ——————————————————————————————-I have found out that St Michael’s Cemetery is in Cashel Road, Tipperary Town. I have also found out that Patrick Hackett is buried in Drangan. but does anyone know where it is please? Presumably in the Drangan area? —————————————————————————————————————————————I’m looking for details of John Scanlan, Garraunboy, Killaloe, Co. Clare who was on hunger strike in Wormwood Scrubbs in 1920. —————————————————————————————————————————————-My father’s cousins John and James Kelly were both IRA in East Cork during the War of Independence but took opposing sides in the Civil War, John for the Free State and James for the IRA. James left Ireland for the USA after the Civil War and never returned. In the 1970’s his descendants tried to get in touch with my father to no avail. Haven’t a clue who they were or where they are in the USA. Would like to get in touch if there is anyone out there related to me.